We are a small family run tearoom and shop. Almost everything we sell is homemade and you can either sit-in or take away. We welcome dogs as long as they are well behaved and kept on their leads. We have a couple of dog bowls so fresh water is always at hand. Five luxury eco-lodges set amidst the Scottish pine forest of Royal Deeside. 3 well behaved dogs welcome per lodge/cabin (more than 3 are subject to approval). There is a nominal £20 per dog charge per stay. 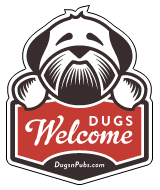 There are a total of 53 dog friendly listings in the AB category. Please log in, or sign up as a member to view all listings.